Robert Redford was 80 when he filmed "The Old Man And The Gun" here in spring 2017. Oscar-winning actor Robert Redford says he retiring from acting after completing The Old Man And The Gun shot in Greater Cincinnati and Northern Kentucky last year. The film opens in theaters Sept. 28. “Never say never, but I pretty well concluded that this would be it for me in terms of acting, and [I’ll] move towards retirement after this ’cause I’ve been doing it since I was 21," Redford tells Entertainment Weekly. "I thought, well, that’s enough. And why not go out with something that’s very upbeat and positive?" 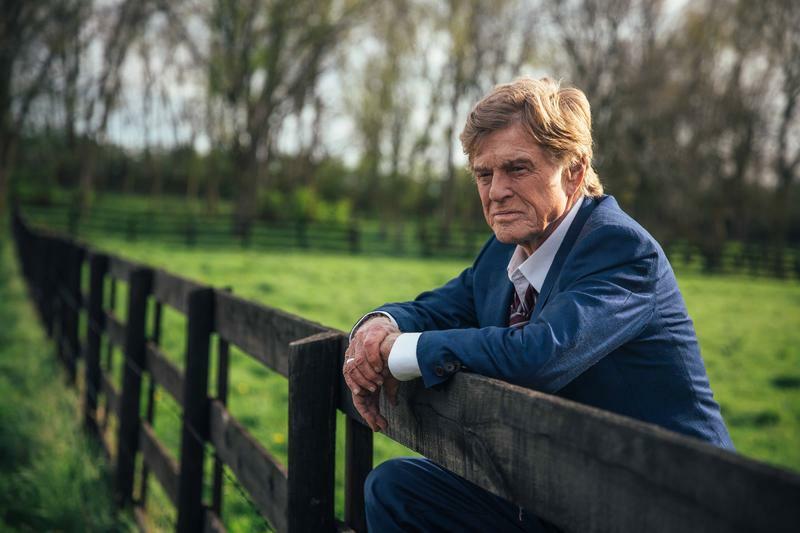 Redford, who turns 82 on Aug. 18, says playing Forrest Tucker, who spent his entire life robbing banks and breaking out of jail, "helped shepherd to this conclusion," according to writer Katie Hasty. “To me, that was a wonderful character to play at this point in my life," Redford says. "The thing that really got me about him — which I hope the film shows — is he robbed 17 banks and he got caught 17 times and went to prison 17 times. But he also escaped 17 times. So it made me wonder: I wonder if he was not averse to getting caught so that he could enjoy the real thrill of his life, which is to escape?" Is he also retiring from directing? "We'll see about that," he said. He also directed eight other features, including Quiz Show, The Horse Whisperer, A River Runs Through It and The Legend of Bagger Vance. The Internet Movie Databate lists 78 acting credits starting with TV's Maverick in 1960. 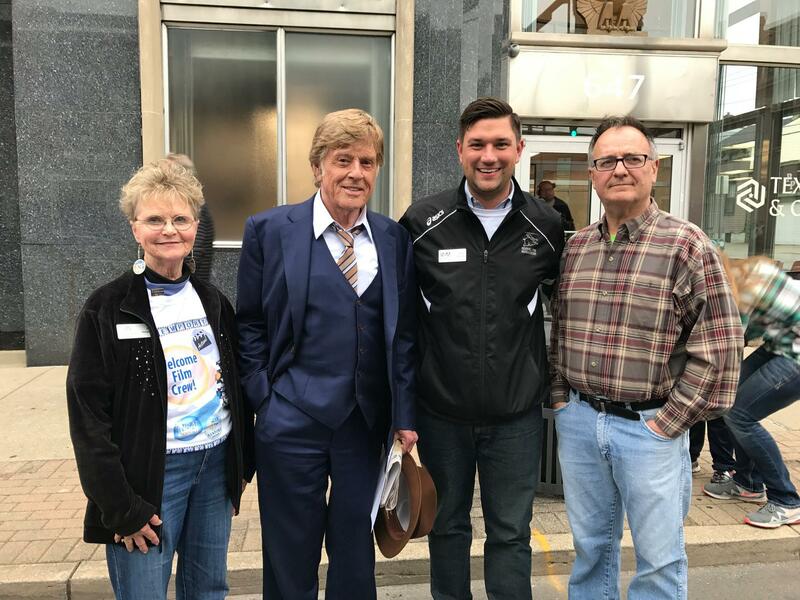 Redford started filming here with director David Lowery in April last year with two other Oscar-winners, Casey Affleck (Manchester By The Sea) and Sissy Spacek (Coal Miner's Daughter). 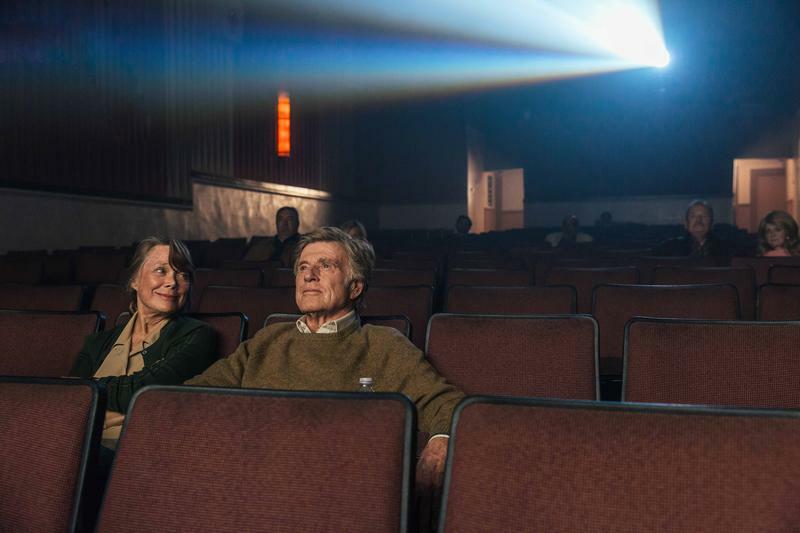 Spacek and Redford enjoy a date night in "The Old Man And The Gun"
The cast includes Danny Glover (Lethal Weapon, The Color Purple), Elisabeth Moss (Mad Men), Tiki Sumpter (Southside with You, The Game, Ride Along) and singer Tom Waits. Scenes were filmed in Newport, Covington, Cincinnati, Hamilton, Bethel and Dayton. Fox Searchlight Pictures says the movie "is based on the true story of Forrest Tucker (Redford), from his audacious escape from San Quentin at the age of 70 to an unprecedented string of heists that confounded authorities and enchanted the public. Wrapped up in the pursuit are detective John Hunt (Affleck), who becomes captivated with Forrest's commitment to his craft, and a woman (Spacek), who loves him in spite of his chosen profession." Cincinnati's newest movie starts filming today. Point Blank, a remake of a 2010 French thriller, stars Marvel Univese actors Anthony Mackie and Frank Grillo; Oscar-winner Marcia Gay Harden (Pollock, Code Black); Teyonah Parris (Empire, Mad Men); Boris McGiver (House of Cards, Person of Interest, Boardwalk Empire, The Wire); and Markice Moore (The Paynes, The Walking Dead, Rectify). 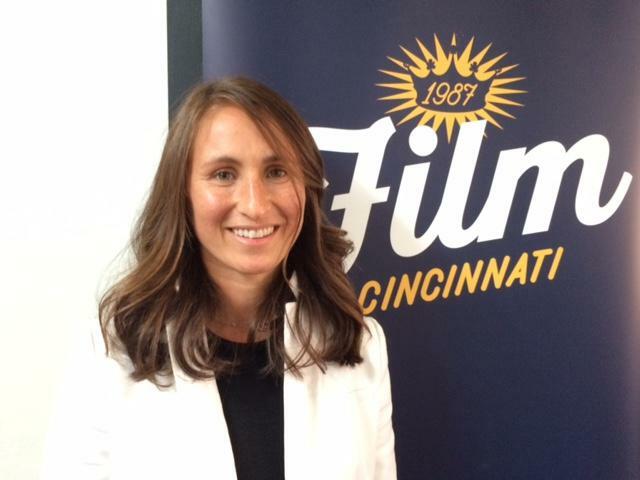 One of the producers is Cincinnati native Johanna Byer, a Cincinnati Country Day graduate. Point Blank needs 490 extras for scenes in bars, restaurants, a hospital and on the street. Those interested in being an extra should email their name, age, resume, a headshot photo, phone number and clothing sizes to pointblankextras@gmail.com. 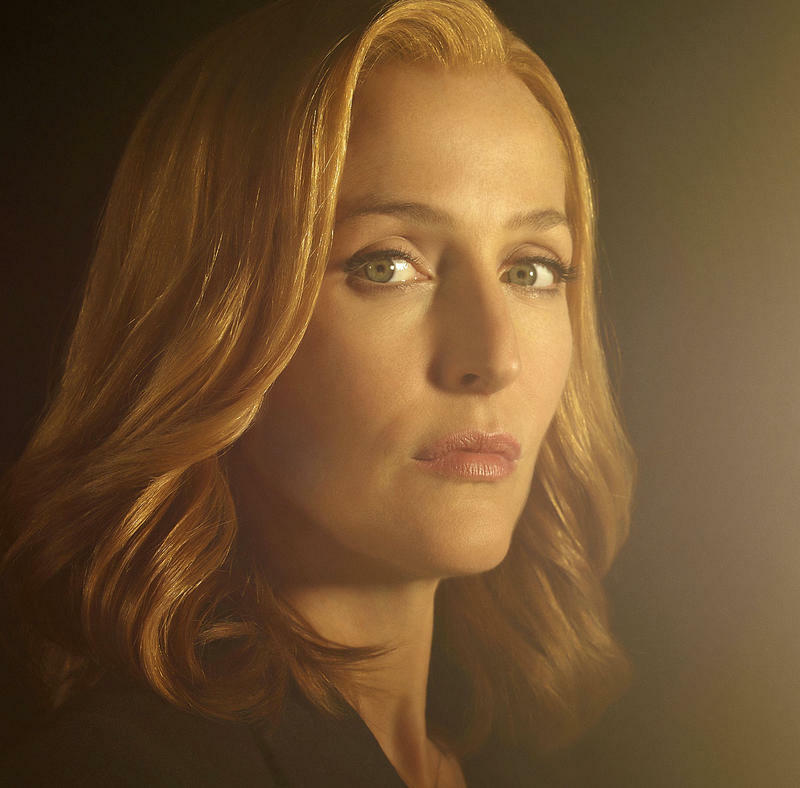 Here's a link to my July story with updates on other movies filmed in Greater Cincinnati: Gillian Anderson's UFO; Reprisal with Bruce Willis and Frank Grillo; Donnybrook with Grillo and Jamie Bell; and Zach Efron's Ted Bundy biopic, Extremely Wicked, Shockingly Evil and Vile. Can WXIX-TV outfox the TV news competition at 4 p.m. and 11 p.m.? Channel 19 refuels Cincinnati's TV news wars by premiering two newscasts in August, two months before the 25th anniversary of the WXIX-TV news department. Johanna Byer won’t need a downtown hotel room the next six weeks while she produces Point Blank, the Netflix movie with Captain America stars Anthony Mackie and Frank Grillo and Oscar-winner Marcia Gay Harden.